A “B” I Need to See: Les Raisins de la Mort | "DESTROY ALL FANBOYS!" Poster courtesy Horrorpedia.com- GO SUBSCRIBE! And now, the hunt begins for a DVD as I prefer to borrow or outright own my movies and not stream or steal them. It’s not an urgent “get” at all. But if I see this one in my travels and it’s affordable, I’ll be adding it to the library when I can. 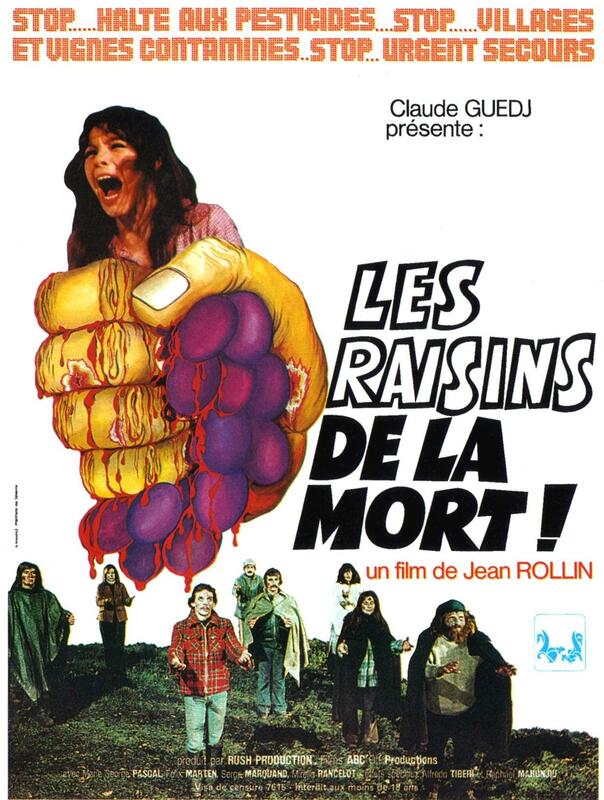 This entry was posted in 2015, Commentary, DAF, Humor, Movie Posters, Updates and tagged "B" Movies, 1978, Horror, Horror Films, Imports, Jean Rollin, Les Raisins de la Mort, Made in France, Movie Posters, Movie Trailers, Movies, Random Films, Sleaze-O-Rama, The Grapes of Death, YouTube by geelw. Bookmark the permalink.